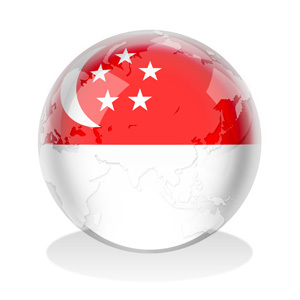 According to a recently released annual survey by Bloomberg, Singapore has emerged as the eighth best country in the world for business in 2013. Its regional rival, Hong Kong, has sustained its top ranking for the second year, while United States and Japan came in second and third, respectively. The Bloomberg Best Countries for Business 2013 survey, which enters its second year, measures 161 countries according to how attractive they are to businesses. The study bases its judgement on data from 11 sources including the CIA World Factbook, International Monetary Fund, International Labor Organization, Transparency International, United Nations and World Trade Organization. It then scores countries on a scale of zero to 100 percent along six parameters. These indicators include: 1) the cost of setting up business; 2) the cost of labour and material; 3) the cost of moving goods; 4) less tangible costs such as inflation and corruption; 5) the degree of economic integration; and 6) the readiness of the local consumer base i.e. the size of the middle class, household consumption and gross domestic product per person. The first four indicators are weighted 20 percent while the last two are weighted at 10 percent in the final assessment. In the meantime, and despite stricter regulations, we are optimistic that Singapore will not close its doors entirely to highly-skilled and talented individuals who can add value to the economy. In spite of its performance vis-à-vis Hong Kong, Singapore has improved its overall standing by a notch compared to 2012. This year, it also fared well in three categories, namely business startup cost (2nd), the cost of moving goods (3rd) and less tangible costs (7th). Analysis by Singapore company formation specialist Rikvin shows that the Republic’s ability to place itself within the top ten positions in these categories reinforce its strong suit. “In spite of its weaknesses, Singapore has consistently managed to attract business activity because of its transportation and logistics efficiencies, strong intellectual property rights regulations, low corruption perception index, and relatively low costs of setting up a Singapore company. Altogether, these factors make for a reliable and safe place to do business,” explained Ms. Christine Lim, General Manager of Rikvin. However, at 52.2%, Singapore’s lacklustre performance in the area of labour and material costs has dented its overall score. Analysis by Rikvin shows that this represents the second time this year that stricter labour policies have taken a hit at Singapore’s overall attractiveness as a business destination. “On another level, the series of stricter foreign manpower policies that were effected last year play a role as well. These policies have made the process of procuring a Singapore work visa more selective and costlier, thereby resulting in higher hiring costs for Singapore companies amid a tight labor market and instructions to improve productivity. “Nevertheless, these trends were already announced as new realities in last year’s Budget statement and that businesses were duly informed that they should do what they can to navigate their way through these challenges as the economy undergoes refurbishment. In the meantime, and despite stricter regulations, we are optimistic that Singapore will not close its doors entirely to highly-skilled and talented individuals who can add value to the economy,” Ms. Lim affirmed.